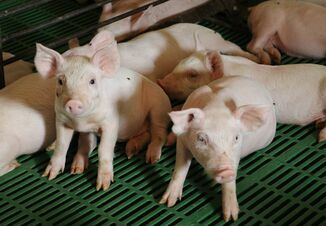 The American Association of Swine Veterinarian’s Young Swine Veterinarian of the Year Award was presented to Dr Paul Thomas during the 50th Annual Meeting of the AASV in Orlando, Fla. It is given annually to an AASV member five or less years post graduation who has demonstrated the ideals of exemplary service and proficiency early in his or her career. 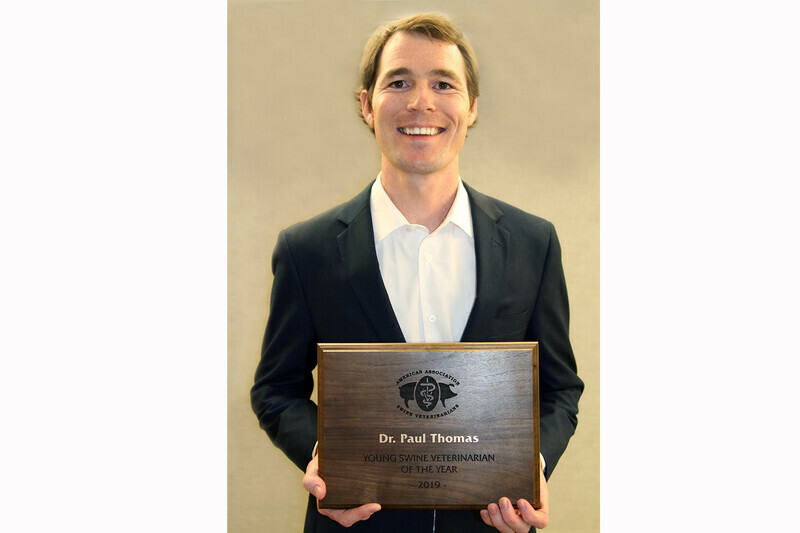 Thomas received a Bachelor of Science in animal science (2009), Doctor of Veterinary Medicine (2013), and a Master of Science in veterinary preventive medicine (2015), all from Iowa State University. He also completed a post-doctoral fellowship with the Swine Medicine Education Center (SMEC) and AMVC Management Services as an associate veterinarian, where he is currently still employed. 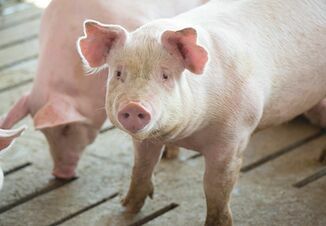 At AMVC, he works with sow farms and grow finish pigs within the AMVC system, consults with clients, and supports SMEC operations by teaching 4th year veterinary students and conducting PigPROS seminars to introduce industry stakeholders to the process and constraints of modern pork production. Early in his career, Thomas is a respected role model for students, colleagues, and other young swine veterinarians. As a teacher, he creates a rich, witty, and interactive learning environment for all participants. As a veterinarian, he adapts easily to provide the best service for each client and communicates in a way that caretakers, co-workers, clients, owners, and superiors can all understand, respect, and appreciate. “I’m very honored to receive this award. I have a great deal of respect for the AASV and my colleagues in this profession, so to be recognized by them means a lot to me. I’m very thankful to the veterinarians and staff I work with at AMVC and SMEC for the incredible mentorship and support I’ve received from them early in my career and to my wife, Jennifer, for her constant support," he said.